It dawned on me this morning that I have never tried growing my favourite Lupin, ‘Sunrise‘ from an Autumn sowing. What on earth has been going on in my tiny mind. I am in the middle of preparing a long bed at Higgledy Garden that will be dedicated to Autumn sown goodies. The main bulk will be made up of my ‘Seeds To Sow In Autumn‘ collection‘ but also some others…’Sunrise’…ammi ‘Visnaga‘…Nigella ‘Miss Jekyll Blue’ to name a few. Lupin ‘Sunrise’ is easy to grow from seed…just watch out for the slugs….slugs having very good taste, like to gobble up ‘Sunrise’ in the same manner that I can get through a whole packet of Foxes ‘Golden Crunch’ biscuits in one sitting. ‘Sunrise’ has amazing colours in it…blues…golds…bronzes…yellows but if this glorious spectrum wasn’t enough, they smell divine too. 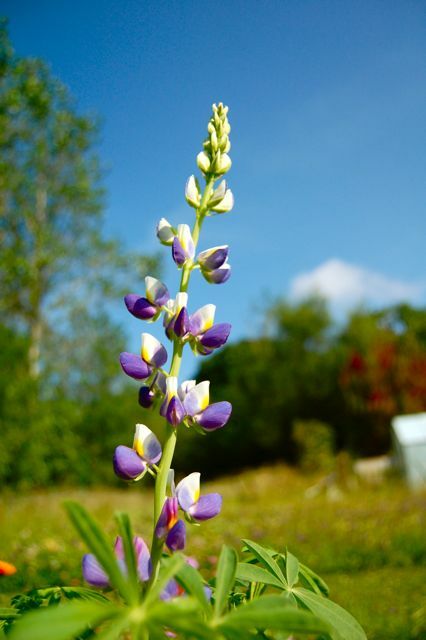 Growing Lupin ‘Sunrise’ From Seed. Higgledy Top Tips! 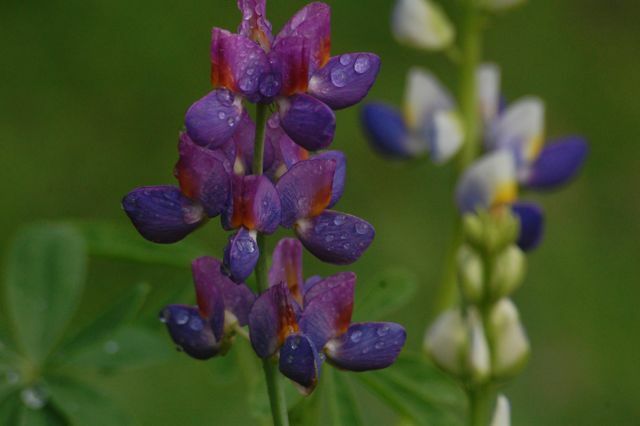 *Some say that because Lupins have tap roots, that they shouldn’t be sown in pots. I have found they don’t mind….though a paper pot or fibre pot is best to avoid too much disturbance. 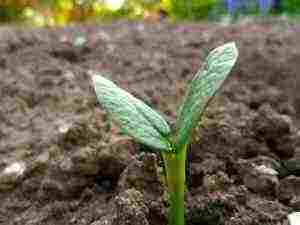 *For an Autumn sowing I would certainly sow direct into your soil. 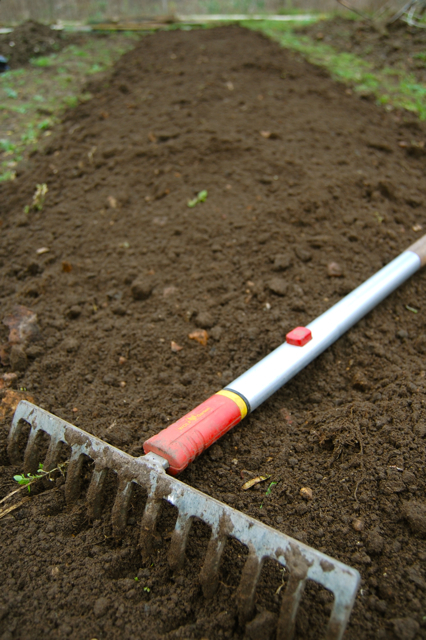 Bury the seed about three times its depth, a general rule of thumb for most annual flower seeds. *Make sure the bed you are sowing them in is dug deep…the tap root of ‘Sunrise’ wants to go and have a good rummage…if it hits a hard pan it can’t get through then it will sulk….the last thing you want is a sulking Lupin…life is just too short. Preparing a bed for sowing. *Space your plants to about a foot…or a little more apart. They may need staking. I didn’t grow enough this year….everyone was going bonkers for them but I just didn’t have enough to go around. So next season I plan a small army of the cheery chapies. Try them in the vase with something a a different form…any of the cosmos is good…’Pied Piper‘ is particularly good with ‘Sunrise’ and why not add some Bupleurum….the zingy green of the foliage will make you look like you know what you’re doing…or perhaps Nicotiana ‘Lime Green‘ could also fit the bill. Let me know how you get on…don’t forget if you are a gardening type there is LOADS of chat on Twitter and you are most welcome to join me over on @higgledygarden. Malope Triffida ‘Vulcan’ From Seed. Phlox ‘Grandiflora Tall Mix’ From Seed. Oh dear. I decided to sow my Lupin seeds in the autumn but , as I have the national collection of slugs and snails, I put half in a bed in the (Unheated) greenhouse and half in fibre pots also in the greenhouse. They did really well until the frosts this January. Now they all look dead. I’m only in Bristol so the temperatures have only been a few degrees below 0, but they do seem to have all succumbed. Do you think there’s any chance they’ll come back? How are yours doing in Cornwall? Ilove your sense of humour! keep it up, it cheers me to hear someone with plain and simple talking about plants.